Mold growth in any part of your home or business can put a real damper on things. Not only does it look disgusting and make your home or business appear unpresentable, it can also cause health problems to you, your family, or your customers. Mold can be hard to detect at times because it takes a while for the signs to show, but once they do, immediate action is required. Mold itself is hard to remove, but mold growth on drywall is particularly difficult if it grows deep below surface level. 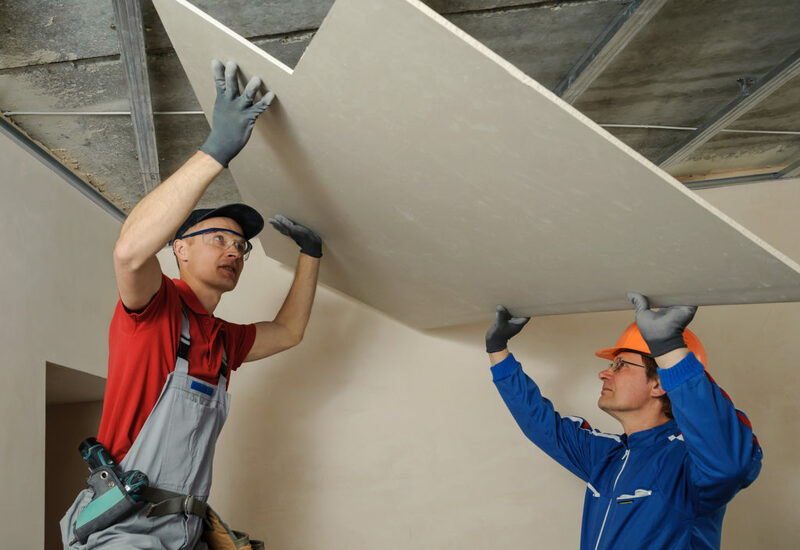 If the growth is excessive and has gone deep into the drywall, the easiest and most effective solution is to remove the drywall and replace it instead of trying to clean the mold. Some people believe that cleaning the infected areas with bleach will remove the mold on the drywall, when in fact mold is basically resistant to bleach and the moisture within the mixture can help the mold grow. The bleach may kill some of the mold growth, but it won’t get it all and you went through all that cleaning for nothing. It may not be what you want to hear, but drywall mold removal in Boston MA is best done by replacing the drywall altogether. When dealing with mold, it is important to remove it in a safe way that won’t contaminate any other part of your house or business. That is where MicroZyme Technologies steps in. We have over 15 years of experience attacking mold growth and removing it safely. Protective gear is required for drywall mold removal and special attention must be paid to how the particles are removed. If proper care isn’t taken, spores from the mold growth can float to other areas of your home or business and the mold growth process will start all over again. We have developed an extensive expertise that helps us prevent the move of mold spores. You know that when you hire MicroZyme Technologies your Boston home or business will be completely drywall mold free. Call us today at 866-920-6653.